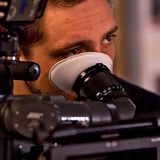 Mark is one of the best-known and most respected teachers of film directing in the world. Drawing from his impressive background in writing, acting and directing in theatre, film and television, Mark brings new insights and clarity to the complex task of directing a feature film. Mark is the author of the best-seller DIRECTING FEATURE FILMS: the Creative Collaboration Between Writers, Directors and Actors.